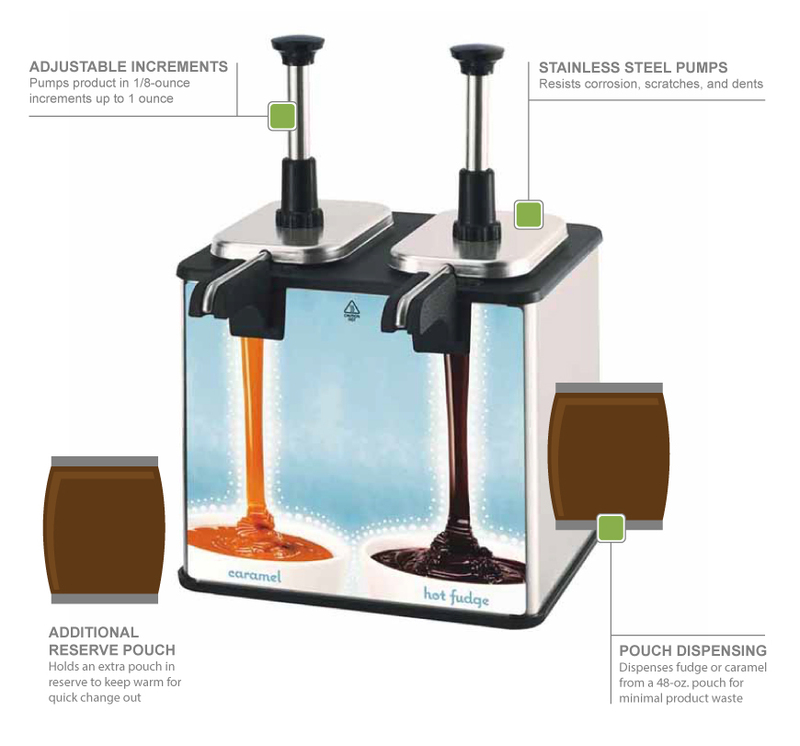 The Server 85899 EZ-Topper™ double food warmer serves hot fudge and caramel sauce from 48-ounce pouches with 16-milimeter fitments. Toppings dispense from two active pouches while two are kept warm in a reserve, so they can be quickly replaced without waiting for the second pouch to heat. It dispenses 1-ounce servings that can be reduced in 1⁄8-ounce increments, and each heated well has an adjustable thermostat to control the temperature. To limit food waste, this unit serves as much as 98 percent of pouched toppings. Constructed of stainless steel, the exterior of the Server 85899 double food warmer is durable and quick to wipe down. 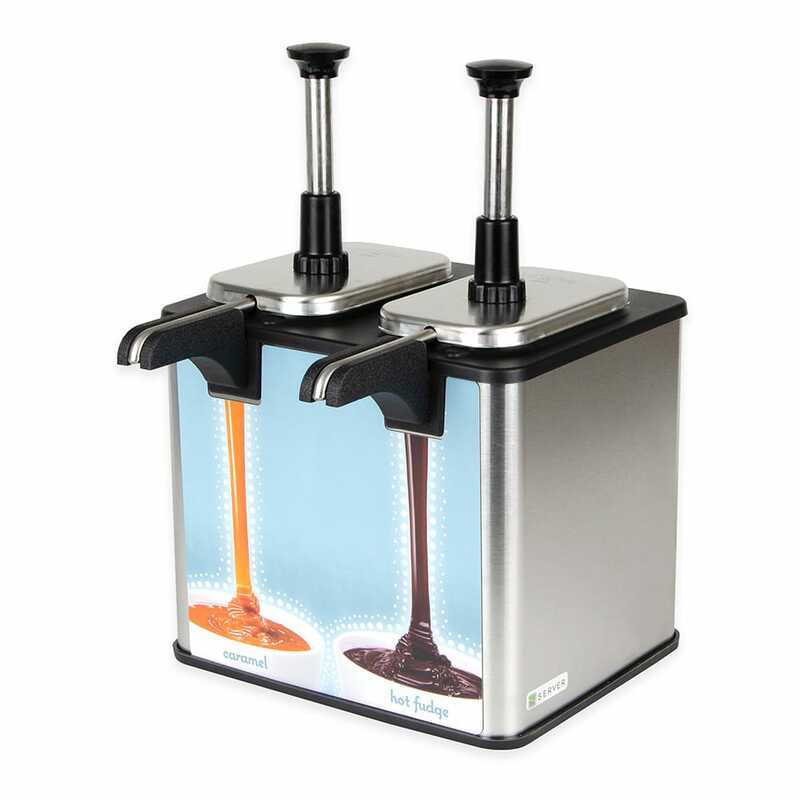 The sealed system keeps toppings fresh and sanitary while also ensuring that the exterior of the stainless steel pumps are clean. Magnetic signs label which pump dispenses caramel or hot fudge. Find out more about Server food warmers in our Server products buyers' guide.